This 8-step, preventative maintenance program provides our customers complete peace of mind when it comes to their fuel quality. Our program starts with completely cleaning and sterilizing the fuel and fuel tank, filtering the fuel to 5 microns, and adding a fuel treatment to increase cetane and lubricity of the fuel. Every quarter we monitor the fuel and fuel tanks to ensure they are in good condition. We back up our work with our unparalleled Warranty and Guarantee. If fuel gets dirty again for any reason whatsoever within 180 days of the initial cleaning, we will clean it again at no charge. Step 1- Sterilize: Fuel is treated with EPA registered micro-biocide to kill all microbial growth in the fuel, fuel water interface, and fuel tank. Step 2- Clean: Fuel and fuel tanks are cleaned to remove all water, contaminates, bacteria, and fungi from the fuel. Fuel is circulated in a manner to wash the walls of the fuel tanks. Demulsifiers are used to remove water from the fuel. Step 3- Filter: Fuel is filtered through oil/water separators and fuel filters to purify the fuel. This filtering process removes all water and contaminates to a particulate size of 10 microns or smaller. Step 4- Polish: Fuel is polished through a filter with a Beta Rating of 1000 at a particulate size of 5 microns or less, meeting all new fuel specifications for Tier 4 pollution specifications. These filters are rated at 99.9% efficiency at a single pass to the stated micron particulate size. Step 5- Treat: Polished fuel is treated with a diesel fuel treatment that contains the following: lubricity agents, cetane improvers, oxygen scavengers, corrosion inhibitors, and stabilizers. 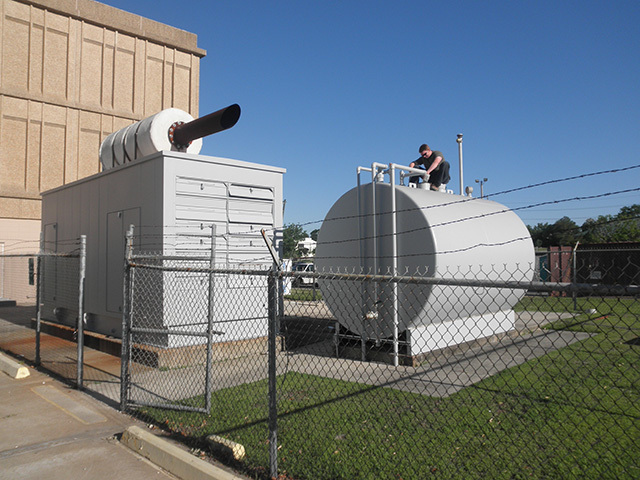 Step 7- Monitor: Fuel tanks are inspected at 90, 180 and 270 days. Fuel samples will be pulled for a visual analysis known as the ?White Bucket Test?. Fuel inspection reports will be furnished to the maintenance department for review. Step 8- Warranty and Guarantee: We guarantee clean fuel and clean fuel tanks, free of microbial growth for 180 days. If fuel gets dirty again for any reason whatsoever within 180 days of the initial cleaning, we will clean it again at no charge. Additionally, if independent laboratory analysis was requested, we guarantee your fuel will receive a ?Pass? rating. If your fuel fails, we will clean it again and retest the fuel at no charge. Step 1- Sterilize: Fuel is treated with an EPA registered micro-biocide to kill all microbial growth in the fuel, fuel water interface, and fuel tank. 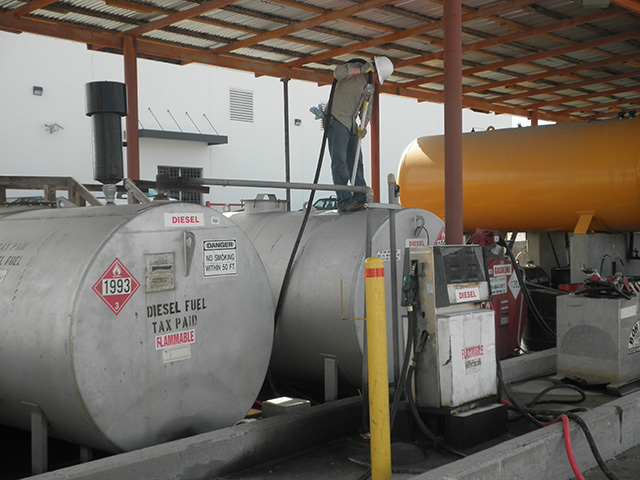 Step 2- Clean: Fuel and fuel tanks are cleaned to remove all water, contaminates, bacteria, and fungi from the fuel. Fuel is circulated in a manner to wash the walls of the fuel tanks; Demulsifiers are used to remove water from the fuel. Program and Service offered through Taylor Power's Main Office and all Branch Locations!